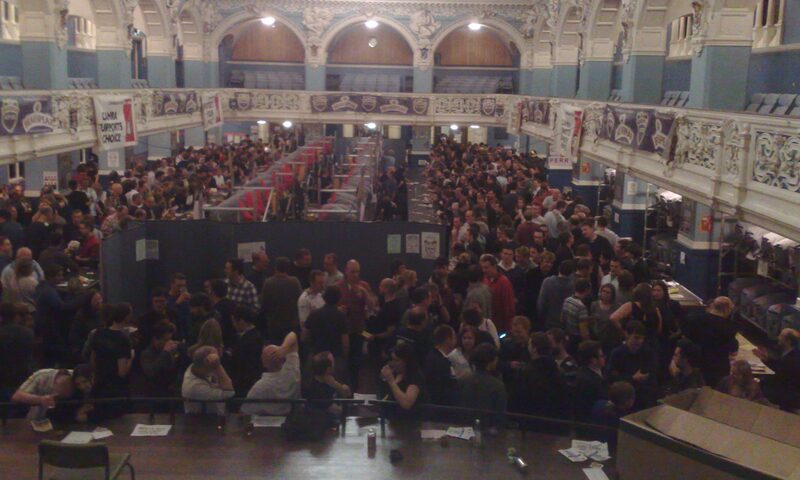 Like all CAMRA festivals, the Oxford Beer & Cider Festival is conceived, planned, organised, publicised, built, staffed, and taken down by volunteers. The usual dedicated members of Oxford CAMRA have done the planning and organising and now we need help with the actual festival itself. We need volunteers to carry all the beer and equipment into the Town Hall (there are lifts and trolleys) and build the stillage on Wednesday 7th; put the bars together and get everything tidy on Thursday 8th before we open at 5pm; serve beer and cider Thursday evening, Friday 9th and Saturday 10th; take down the Thursday/Friday stillage on Saturday morning; and take the rest down and tidy up on Sunday morning. Everyone who does this says it is a lot of fun. It is very satisfying to work as a team and see the festival take shape on Wednesday and Thursday whilst serving beer to happy customers when we open has it’s own reward.